Effortlessly enjoying warm weather and sunshine! 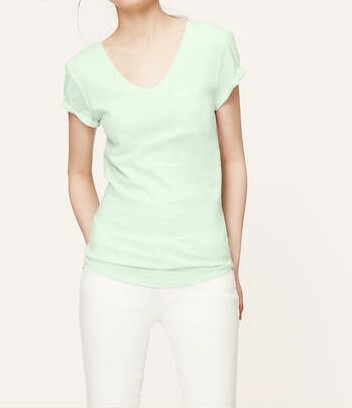 A pastel tee, casual but always classy. Take it from daytime wear with shorts to dinner wear with white jeans, a statement necklace and wedges. Not too long, not too short this pair is a great length for summer sun. Plus it adds an extra pop of color to your wardrobe. Whether paired with a sundress or bathing suit, the wide brim hat is a perfect accessory for a day at the beach or browsing the farmers market. Cute ideas. Love the hat. We are thinking of going to the horse races this summer and a hat like that would be perfect!